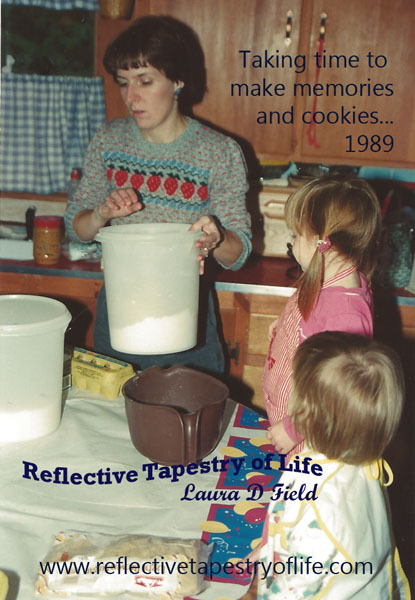 1989 baking with our two oldest daughters when they were 2 and 3 yrs old. This morning as I woke, the sun was shining brightly through the window as I started my day with a light breakfast. It was quiet and peaceful, yet there was something about it that caused me to reminisce of days gone by of having young girls running about. My morning was filled with the warmth of memories, of morning breakfasts together, baking cookies with the girls standing on the chairs and helping out as they so often did. The memories of cuddling or talking late into the nights are moments that will always be treasured within my heart. Life is so interesting. We watch our children, from the moment they enter the world and fill our hearts with love and admiration as they grow and develop. Their first word, first step, first giggle; add joy within our hearts. Those years are so tender yet seem to go by so quickly. The days that seemed longest was when they were sick, or when they hurt, and those interesting days when they challenged us with their need for independence. But the days of challenge, the days of illness, although were long, they added balance and fullness to what I know as motherly love. This mornings memories were that of them as little girls, sitting in high chairs and booster seats, or helping in baking cookies or preparing dinner and other treats. We would put in fun and lively music, as we spent time together. or talk about different things. I miss those moments. Nighttime stories were abundant, from books and made-up stories. The favorites were those in which I would lie next to them and begin to create a story from my imagination. Oh, if only I had taped those stories, we would have a series to pass along to future grandchildren. I miss those moments. It was not long before they needed a listening ear, just to vent what was on their mind. There were times where they wanted to say something but were not sure how to say it, so we had set up a system that allowed them to say whatever they needed to say. We would lie on my bed, with the lights dimmed, facing the ceiling. They could talk about girl stuff, boy stuff, “mommy why? ?” stuff, and even opportunities of asking why they might have gotten in trouble. By dimming the lights, not facing eye-to-eye, it took the embarrassment or confrontational pressure off, giving them the opportunity to talk freely. Plus, when they asked for these talks, it alerted me to knowing that I needed to be freely open to their feelings. I set it up like a “safe zone” of asking and talking about anything without getting in trouble or having judgment passed. I miss those moments. Then teen drama, and the emotional trauma of separation when each daughter left for college creating a need for the younger to grow up while adjusting to having to take on more independence without their older sister around. I miss those moments. Something happened to those days of when they were young that seemed like forever. They somehow disappeared. All of a sudden, our daughters became young women, making independent choices and moving on with their lives. College, new friends, moving out, buying a house, getting married, new jobs, new challenges are all a part of their growth, but with it comes a different need from their mom. Sometimes a mom needs to be silent as they make choices. When they call, you learn that sometimes the call is because they just want you to listen with no advice. Yet there are also those calls that they will talk with you for hours as if it was years that had passed, when in fact it could have been just a few hours. I miss having my little girls around, and there are things I wish I had done different. But God did something amazing with the mistakes that I had made. He turned them into miracles. In life we are given one chance, and with our children that one chance is all one has. I found that being transparent with my daughters, never allowing an untruth to pass through my lips when they asked questions I never really wanted to answer, gave them the knowledge that I would always be honest with them. Even when we might have disagreed, the love I had for them was greater than the disagreement. Our children are our legacy. The moment they enter this world we are to love them unconditionally with humble hearts. Accepting that we are not perfect, but willing to be truthful while teaching values and providing them guidelines to learn. With my husband by my side, we did the best that we knew how in raising our daughters. Tonight as I write out my thoughts, I again find myself in a place of peace in knowing that we have been successful parents, raising responsible young women, who have love and hearts of compassion for others. 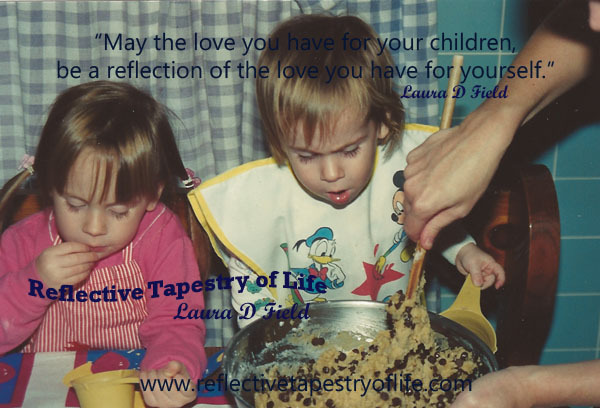 May the love you have for your children, be a reflection of the love you have for yourself. 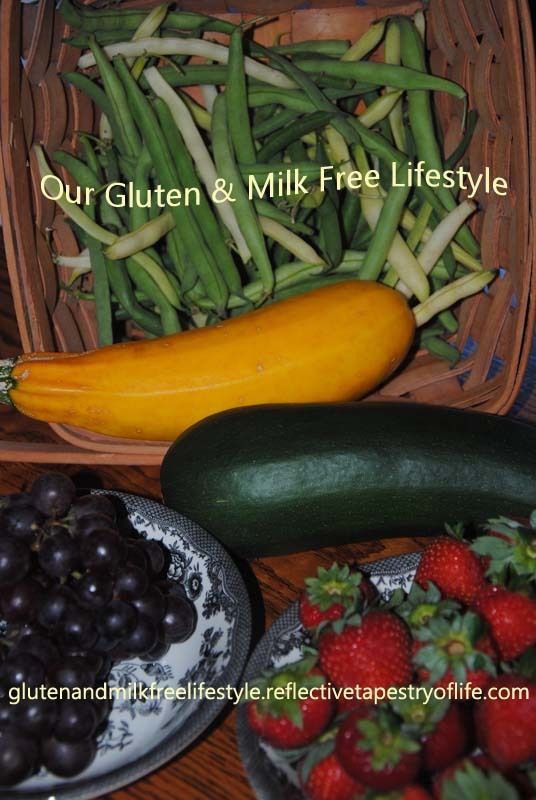 This entry was posted in Baking, Changes, Family, Growth, Life, Love, Memories, Miracles, Parenting, Positive Thoughts, Today's Thoughts and tagged life, love, memories, reflective, tapestry, unconditional. Bookmark the permalink.